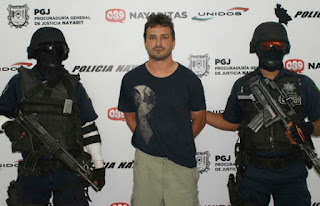 One of the most wanted cocaine traffickers in Canada was arrested in Nayarit, Mexico, on Wednesday, May 2nd. This is a clear indication that Canadian and Mexican authorities are ramping up their coordination in tracking organized crime. Nicholas Michael Lucier, 44, a Vancouver Island native, was picked up on an international warrant that was issued in September 2009 after he’d skipped parole for a cocaine trafficking conviction. 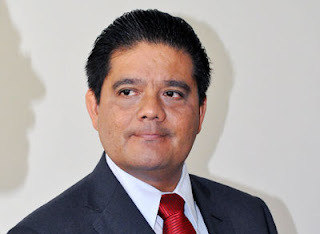 The Secretary General of Government in Nayarit, Jose Trinidad Espinosa Vargas, told the Mexican press that it was the collaboration between the Attorney General of the State (PGJE) and Interpol that led to Lucier’s arrest. (Go here for a video of Lucier being paraded before the Mexican press). Espinosa Vargas also alluded to a strong relationship between Interpol and the federal Attorney General’s office in Mexico, or “PGR”, which, he said, was highly responsive to requests for assistance from his office in Nayarit. In Mexico, the PGR acts as prosecutor for federal crimes, and is better-resourced that its state counterparts. Nayarit, a popular tourist destination on the Pacific coast, is one of Mexico’s smaller states. It borders the state of Jalisco to the south. Lucier, who was going by the alias Corry Corbett, was captured just outside Nuevo Vallarta, north of the resort town of Puerto Vallarta, Jalisco. The arrest came only four days after the Canadian Thomas Gisby, another known drug trafficker, was murdered in the nearby Paradise Plaza Mall in Nuevo Vallarta. 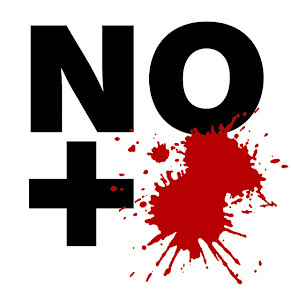 Though officials have not stated whether the events are linked, Lucier’s arrest almost certainly comes from increased scrutiny on the part of Mexican authorities, which may be due to the Gisby murder. Mexico is in the midst of a six-year drug war that has claimed over 50,000 lives, and its investigative resources are strapped. The Mexican government does have the ability to closely track immigration, particularly by air, over an extended period of time, but the PGJE in Nayarit likely couldn’t have managed this on their own. For that they needed the assistance and resources of the PGR, which is tied in to Interpol. It is also possible that the RCMP, which has had a Canada-wide warrant out for Lucier, tipped off the Mexican authorities as to his presence in their country. After Lucier disappeared in 2009 the police in Victoria, British Columbia, said they believed he had likely left the country. However, at the time of his arrest in Mexico the RCMP website still said that “his whereabouts remain unknown”, with no indication that he might have been outside of Canada. Lucier has a criminal record dating back to 1983. Convictions include possession of a prohibited weapon, robbery and assault. He went on the lam when he was in parole for a 3 year and 7 month sentence brought down in 2007. That conviction was for possession of narcotics for the purpose of trafficking. In 2005 Lucier was charged with six counts of possession for purposes of drug trafficking, possession of firearm and ammunition in violation of a court order, and unsafe weapons storage. At that time, the possession charge was significant: almost four kilos of cocaine, 1.8 kilos of heroin, nearly half a kilo of marijuana, 25 grams of crack cocaine, eight tablets of ecstasy, and 12 grams of methamphetamine. The firearms charge was for a .38 caliber handgun. Then, on September 29, 2009, Lucier's home in Saanich, on Vancouver Island near the provincial capital of Victoria, was raided. This was part of a larger operation in which nearly 100 police officers raided five homes in Saanich and the West Shore. The cops seized four high-powered handguns, two vehicles, $420,600 in cash, a stun gun, bear spray, and body armour. They also found 22.5 kilograms of cocaine, with the lion’s share, 22 kilos, found at a Saanich address that press reports say “was associated with Lucier”. The street value of the cocaine was estimated to be over $1 million. It has been reported that Lucier was acquainted with Gisby, who was shot to death in a Starbucks at 9 a.m on Saturday, April 28th, just after ordering his morning coffee. However, there is no indication that they were business associates. 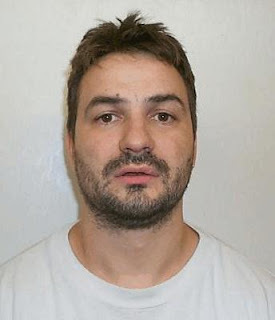 Gisby, 47, was a high-level trafficker who had been active in the drug trade in British Columbia for over two decades, and was reportedly well-connected to Colombian and Mexican cartels.